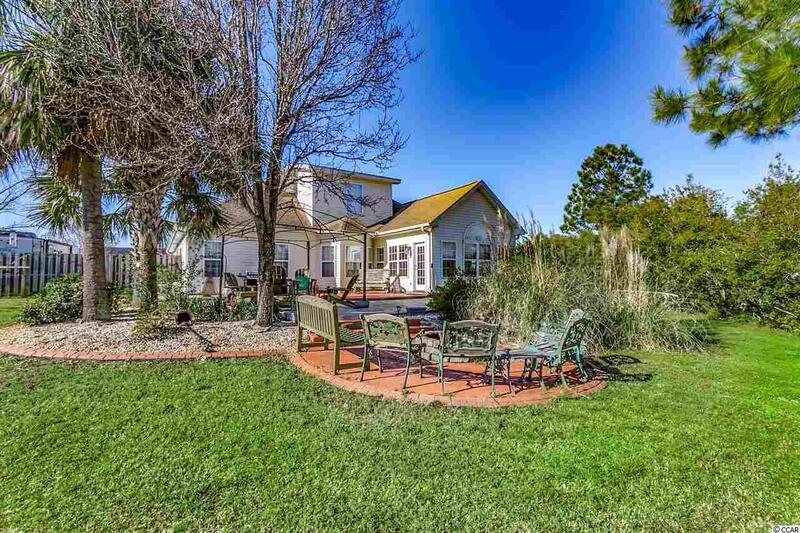 Your backyard oasis awaits with multiple outdoor relaxation areas including a firepit! 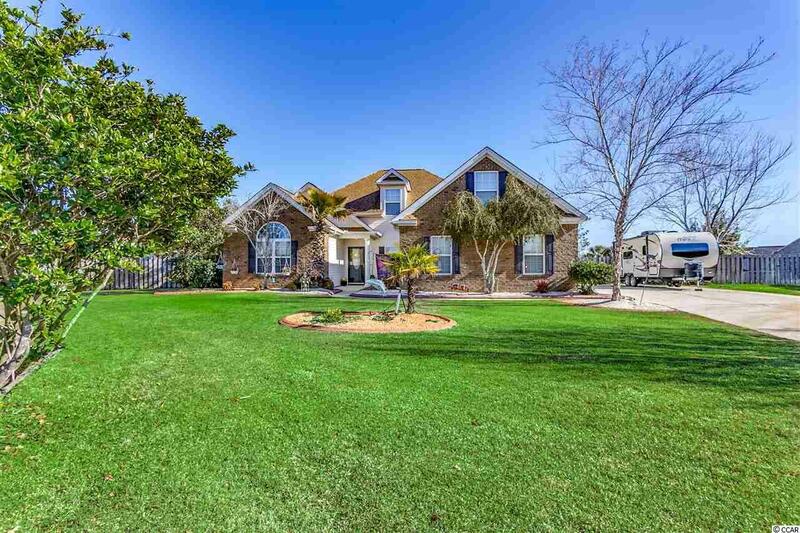 Situated on this rare (for Myrtle Beach) half acre, fenced cul-de-sac lot with an inground saltwater pool, storage shed, and room to park your RV or trailer in the backyard is a 5BD+bonus room/3BA brick front home that is calling your name! Great room featuring vaulted ceilings, propane fireplace and newer bamboo flooring open to the updated kitchen with granite counterheight breakfast bar, glass block backsplash, stainless appliances, desk area, tile floors, 42" cabinets w/crown molding and breakfast nook. Formal dining with chair rail, hardwood flooring and crown molding. Carolina room overlooking the backyard. 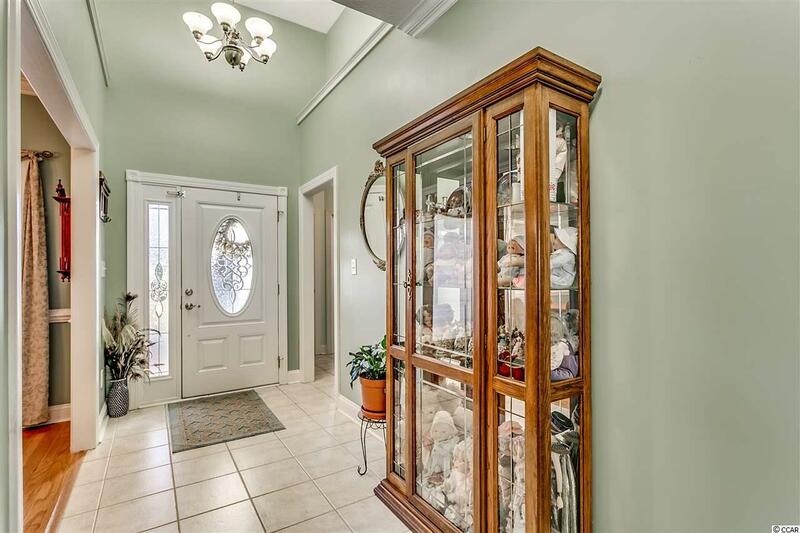 1st floor master suite offers hardwood floors, tray ceiling, crown molding, full tile shower with bench, big linen closet and his-n-hers closets. Two guest bedrooms with bamboo flooring (one currently an office) and guest bathroom w/granite countertop complete the 1st level. Two additional bedrooms (one fit for a king bed) and full bath with granite countertop on the 2nd level. Bonus room could be a craft or hobby room, playroom or just a walk-up attic for even more storage. The established landscaping is sure to please including mature palm trees, curbscapes and rock mulch. 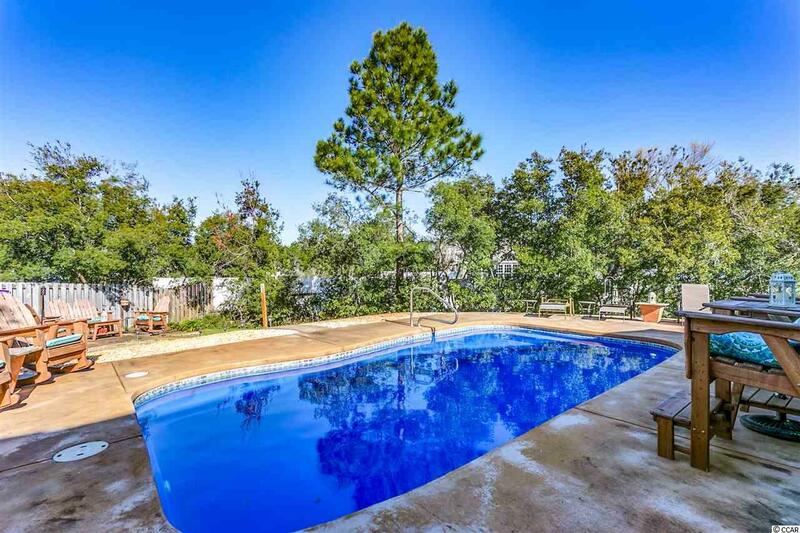 Other features such as gutters, garden area, expansive driveway, low HOA for a neighborhood pool for a change, tile in the wet areas, new water heater, walk-in closets, plenty of storage, 15x25 pool goes from 3' to 5-1/2'. Come join the Hunters Ridge community!